Why Is Your Horse Acting Out or Going Lame? If you’re feeling frustrated because of bad behavior or poor performances, or are struggling with mystery lameness or illness, then you’re in the right place. Get your FREE eBook Now: 7 Reasons Horses Act Out or Go Lame! Animals are healers, teachers, guides and angels. When we learn to recognize, respect and revere them for who they truly are, then they help us become the best human version of ourselves that we can be. Is Val The Right Consultant For You and Your Horse? My name is Val Heart. I’m The Equine Peak Performance and Problem Solving Specialist. I'm called the Show Horse Rider's Secret to Getting Into the Winner's Circle! A professional horse whisperer and mentor for show riders, I’m also the Founder of the H.E.A.R.T. 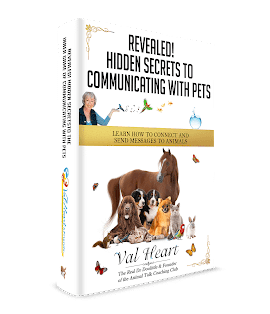 System for solving problems with pets, a bestselling author, and have often been called the Animal Communicator to the Stars. TEDx Talk – Is Your Horse Trying To Tell You Something?